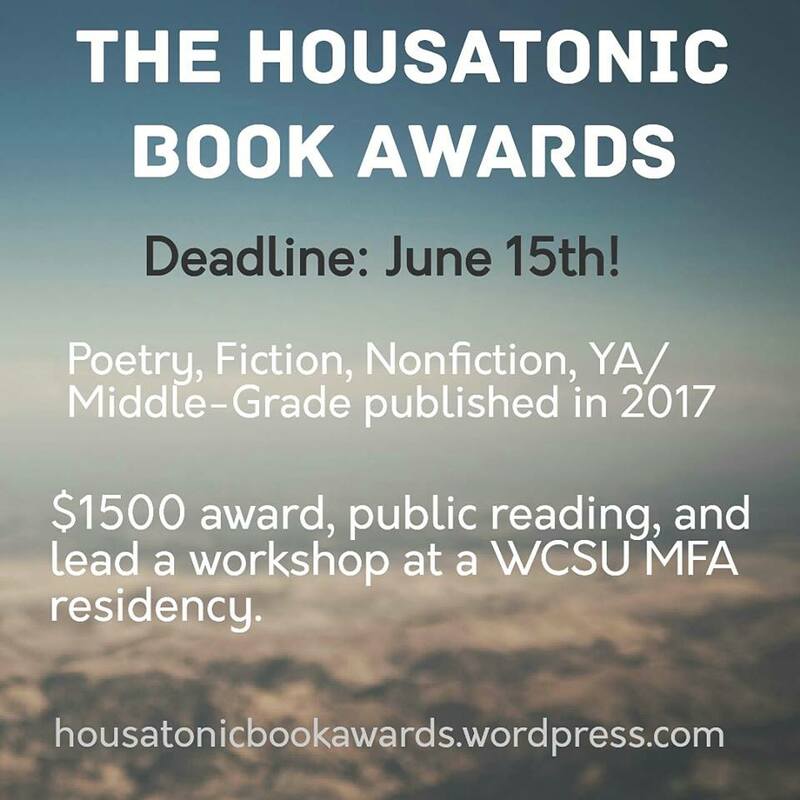 2018 Housatonic Book Awards – Submission Deadline June 15th! The MFA in Creative and Professional Writing at Western Connecticut State University and its alumni organization, the MFA Alumni Writers Collaborative, are now accepting submissions for the 2018 Housatonic Book Awards. students. The Award also includes a $500 travel stipend and hotel stay during the residency. Please see 2018 Housatonic Book Awards Form for more info. 2018 Housatonic Book Awards – Open for Submissions!